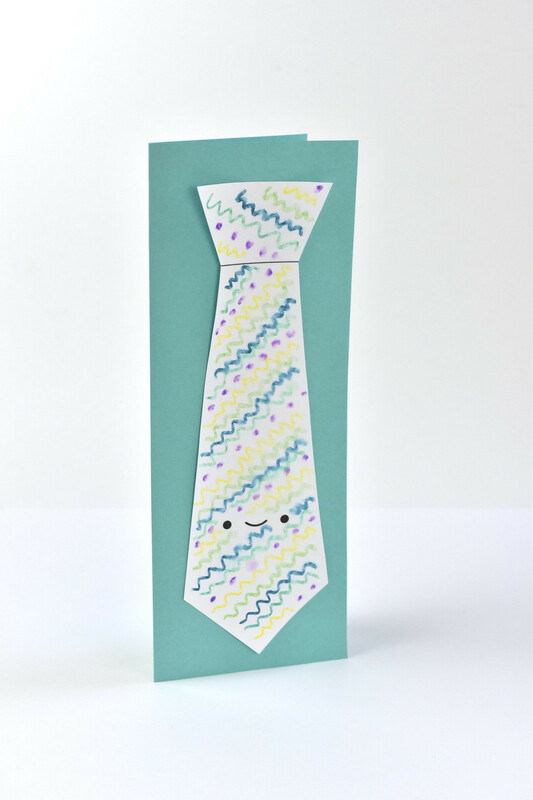 Dad might not need one more tie for Father's Day, but this card gives a nod to ties (cute ones at that!) while letting you or your child create a little piece of art. 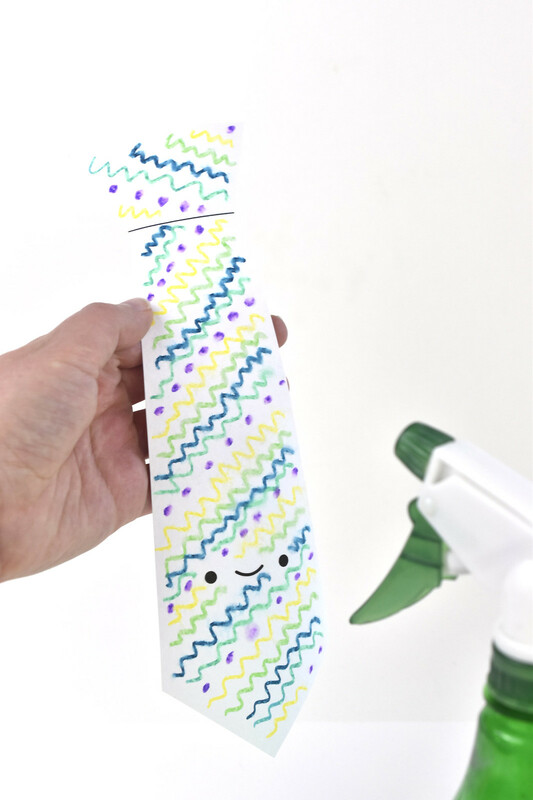 Just print out the pieces and then decorate the tie with a fun and easy art technique. It's become a tradtition that I give my dad a cute Father's Day card in my Wild Olive style. He loves it...or at least he acts like he does because he's my dad! Last year I gave him this french fry box card, and he still has it! But I mean, who wouldn't want a cute card with a face? 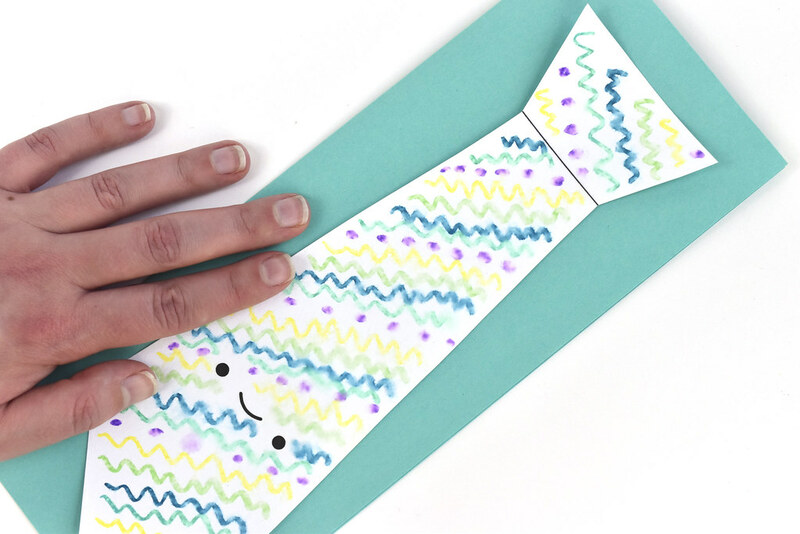 The printable PDF has two ties, so you can easily make a few cards or have a back-up in case one tie gets messed up. 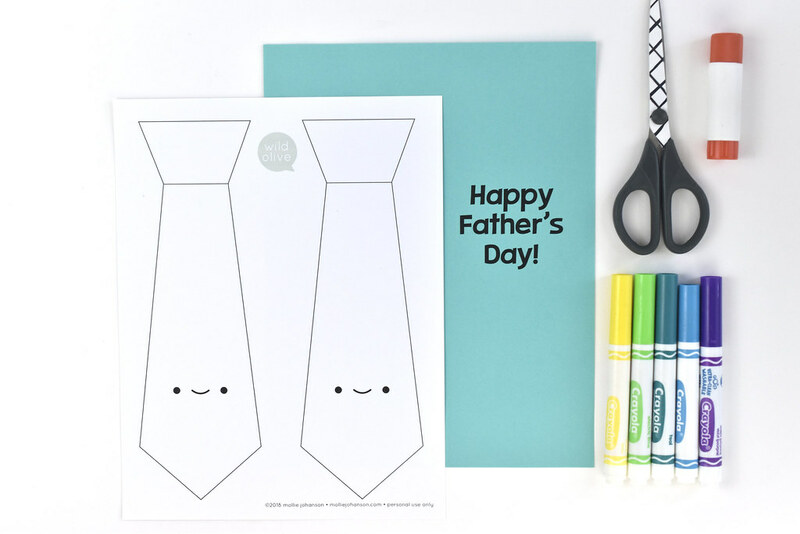 Ready to design a tie for dad? Let's get started! 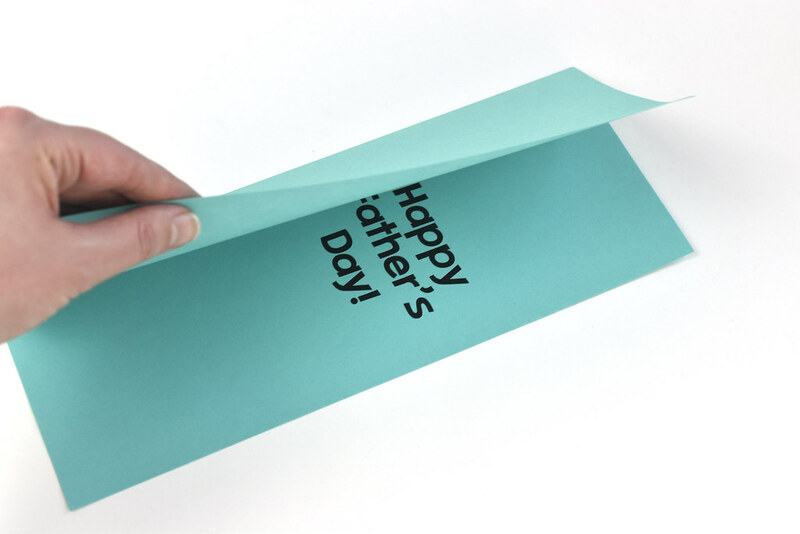 Print the tie page on white cardstock and the "Happy Father's Day" page on colored paper. Cut out a kawaii tie (or two!) and decorate it with markers. If you're making this with a child, obviously they would do this! 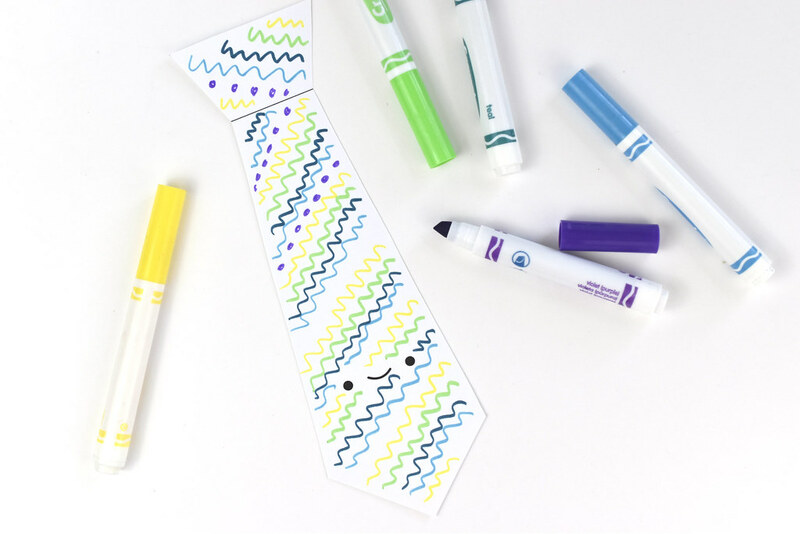 Instead of using markers, crayon resist is another fun process to decorate the tie. Fill the spray bottle with water and set it to mist. 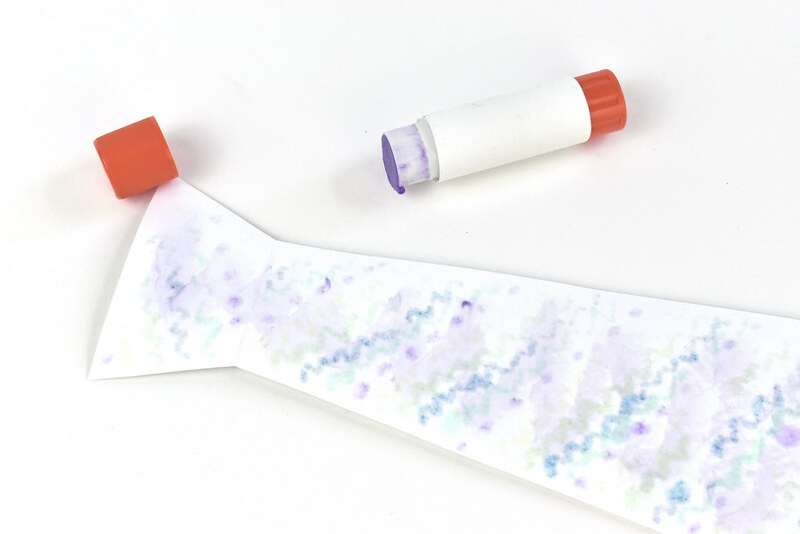 Spray the tie a few times so the marker ink starts to bleed. I misted mine about three times. Let the water dry on its own (it doesn't take too long) or blot it with a paper towel. The cardstock will be damp, so let it dry out. While the tie is drying, fold the card page in half. Add a message and sign the inside. 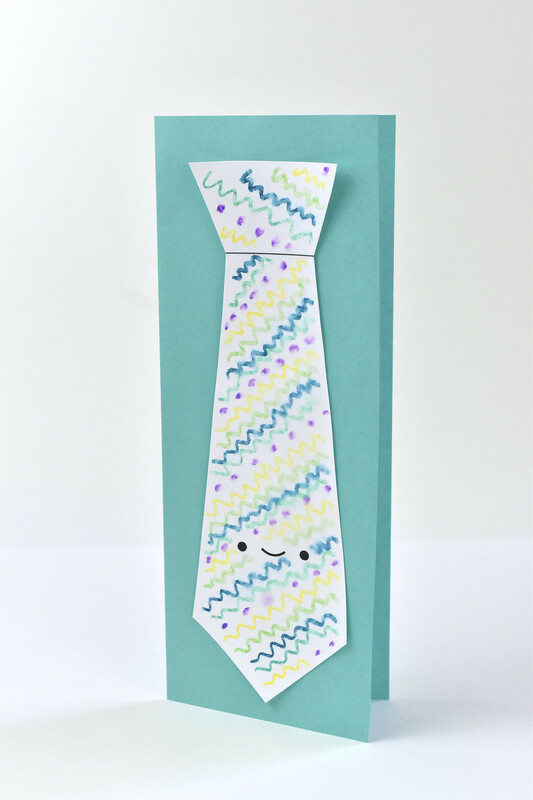 Attach the finished tie to the front of the card. Now you can give the card to your dad, a dad you know, or the dad-like person in your life. You know he's gonna love it and wish that he had a real tie just like this!